Michigan has a flat income tax rate across the state, but some cities do charge an additional rate. Sales tax is relatively low for the region, and there are no additional local sales taxes. Michigan has the eighth highest average effective property taxes in the nation. Retired? Use our Retirement Income Tax Calculator. The Great Lakes State has made a number of changes to its tax code in recent years. In 2012 Michigan’s statewide flat tax rate fell from 4.35% to 4.25%, although the city income taxes levied by 22 Michigan cities, including Detroit, were untouched. At the same time, Michigan increased its personal exemption. Michigan has a single sales tax rate of 6%. Elected officials have proposed raising the sales tax to help fund transportation infrastructure spending, but all proposals have been rejected in recent years. However, Michigan has raised its gas tax to one of the highest rates in the country. Below, we’ll take an in-depth look at taxes across the state of Michigan to find out which rules and exceptions might affect you. Michigan has a flat income tax system, which means that income earners of all levels pay the same rate: 4.25% of taxable income. That is the second-lowest rate for states with a flat tax. 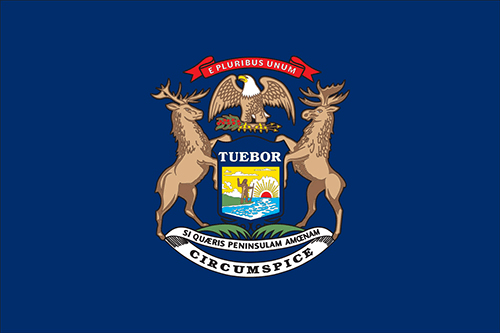 In Michigan, adjusted gross income (which is gross income minus certain deductions) is based on federal adjusted gross income. 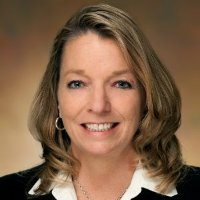 However, taxpayers in Michigan can also claim Michigan’s personal exemption, which is $4,050 for the 2018 tax year. Some cities in Michigan also collect their own income taxes. These range from 1% up to 2.4% for residents, with non-residents who work in those cities paying half the resident rate (meaning the local income taxes for these non-resident workers range from 0.5% to 1.2%). The table below shows the local and total income tax rates for every city in Michigan that has its own income tax. Cities that are not listed do not have a local tax and so residents of those cities only pay the state income tax of 4.25%. Unlike most other states, there are no city or county sales taxes in Michigan. This means that wherever you go in the state, you will pay the same 6% sales tax. That rate is lower than most states in the region. While food served in restaurants is taxed at the normal tax rate, most other kinds of food (including groceries) are not taxed. Prescription medications and newspapers are also exempt from this sales tax. Sales of electricity, natural gas and home heating fuels are taxed at a 4% rate. Michigan has the 11th-highest property taxes in the nation, as measured by average effective property taxes (that’s total taxes paid as a percentage of the home’s market value). On average, residents of the Great Lakes State pay 1.64% of their home values in property taxes every year. Since properties are valued and taxes are collected by local tax authorities, the amount of taxes paid varies significantly from one area to the next. For example, Leelanau County has an effective property tax rate of 0.90% while Wayne County (which includes Detroit) has an effective property tax rate of 2.55%, highest in the state. If you’re looking to buy a home in Michigan, first head to our Michigan mortgage rates guide, where you will find mortgage rates and other details about getting a mortgage in the state. Capital gains in Michigan are taxed as regular income, at the state income tax rate of 4.25%. Michigan does not have an estate or inheritance tax. Michiganders currently pay a gas tax of 44.12 cents per gallon, which is sixth-highest in the nation. When you add federal taxes and fees, Michigan’s gas tax is over 60 cents per gallon of gasoline. The tax for diesel fuel, 45.49 cents per gallon, is seventh-highest in the U.S.
Beer, wine and liquor are taxed at different rates in Michigan. Beer is taxed at a rate of $6.30 per barrel, or about 1.9 cents per 12-ounce beer. This is below average for U.S. states. Wine is taxed at 13.5 cents per liter if it contains less than 16% alcohol and 20 cents per liter above that limit. Liquor is taxed at 12% of the sale price. 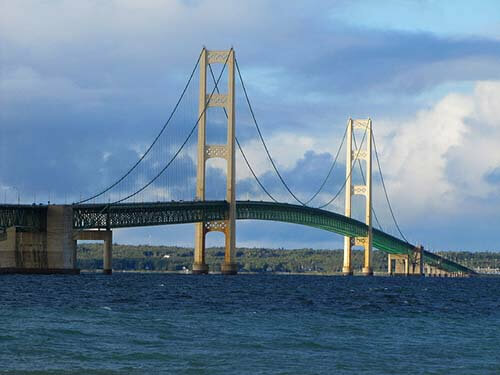 Michigan’s Mackinac Bridge connects the upper and lower peninsulas. It is the 19th longest suspension bridge in the world. Parts of Michigan near Lake Superior receive more than 200 inches of snow a year. Detroit, Michigan is known as the “Motor City” because several of the nation’s largest automobile manufacturers, including General Motors Co. and Ford Motor Co., are based in the region.